Recipes from Gail - Tried and Tested: Ricos - Tried and Tested! 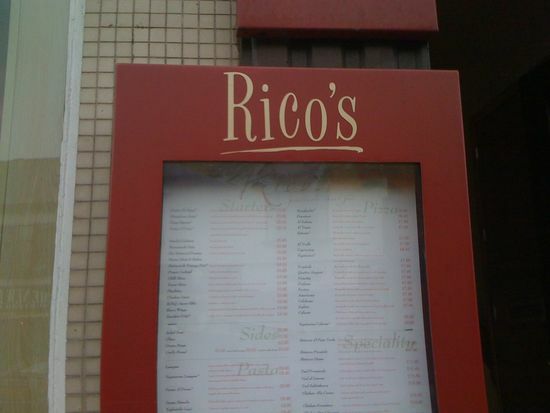 We had dinner at Rico's tonight. One of our old favourites where you get what you pay for! The food is always good, ambience right and prices reasonable along with great service! We will happily eat here week after week. Tonight's choices: Mushrooms and Tortelloni speciali (small portion!) for me, Ribs and Pescatore Pizza for Dunc.